Fully-fledged technical analysis- large number of built in trading indicators and graphical objecst, possibility of writing own scripts, support of various time frames. Secure access and placing of trading operations, as well as additional access for watching trading operations only. Administration of local quotations history including import–export operations in the real time manner. 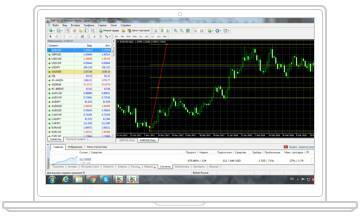 To check the functionality, download MetaTrader 4 and start trading using our free demo.